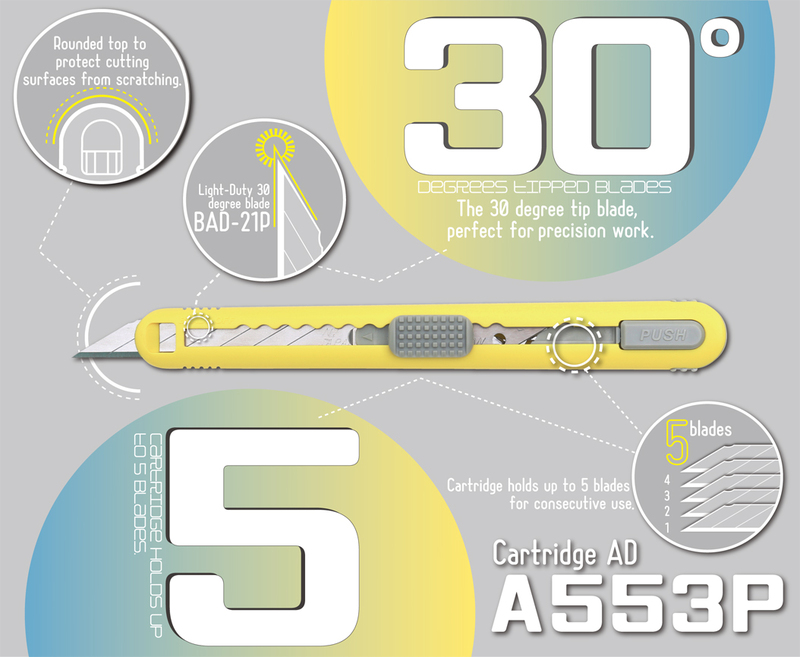 30 degree tip blades which are suitable for precision work is installed. Cartridge holds up to 5 blades for consecutive use. Rounded top to protect cutting surfaces from scratching.